Millennium Marketing Solutions is always discovering great new products, such as the Formulate® Kiosks, which are perfect for trade shows and various events. Digital displays are a growing trend with trade shows and events, as they are a great resource for showcasing a company’s products and services. They’re even ideal displays for lobbies. Made in the USA, what makes these kiosks stand-out is not only their sturdy and lightweight curved aluminum tube frame, but also their printed pillowcase fabric graphics. Equipped with a monitor mount and tabletop, these visually-appealing kiosks make it easy to integrate digital messaging and display literature or products right there for customers. Offered in four different styles, all differing in size, shape, and color. Each include a pillowcase fabric graphic and support for a medium-sized monitor. As a Google Certified Partner and in honor of National Small Business Week, Millennium Marketing Solutions will be hosting a Google Partners Connect event on Wednesday, May 4. While the Internet provides every business with the groundbreaking opportunity to connect and be successful, we welcome small business owners for a Google livestream event on the effectiveness of online advertising and why in this day and age, it’s so crucial to your business. It’s important to sec ure your information, but how can you be so sure that you’re completely blocking hackers from invading your privacy? Although webcams allow you to connect with friends and family, they also pose serious risks of people hacking into them and spying on you, as creepy as that may sound. While Millennium works with various IT companies, we understand the significance of cyber security and how easily information can be gathered and manipulated. Women Presidents’ Organization, Inc. (WPO) serve women presidents of multimillion-dollar companies as a nonprofit membership organization. Women have come a long way in the business world, which is why it’s WPO’s mission to constantly improve the working environments for ambitious women entrepreneurs. They strive to promote the acceptance and advancement of women entrepreneurs in all industries. On Sunday, May 1, the Millennium Woof Pack hopes to raise over $400 in donations for animals through the SPCA of Anne Arundel County’s 25th Annual Walk & Run for the Animals; SPCA’s largest fundraiser of the year! In order to be a “pack,” we must have a team of at least four members. Sporting personalized Pack t-shirts, Millennium encourages anyone who’s interested to join in! There’s still time to register, so sign up today! A Warm Welcome to Our New Team Members! Millennium Marketing Solutions is thrilled to welcome our new Digital Marketing Specialist, Josh Himes, Digital Marketing Coordinator, Jamie Heathcote, Production Assistant, Rob Daniel, iGen Operator and Production Assistant, Leah Smith, and Product Manager/Buyer, Kelley Smith. Since they all came on board recently, they’ve proved to be experts in their respective areas and dynamic members of the overall Millennium team. Be sure to check out our career page for open positions on our growing team! 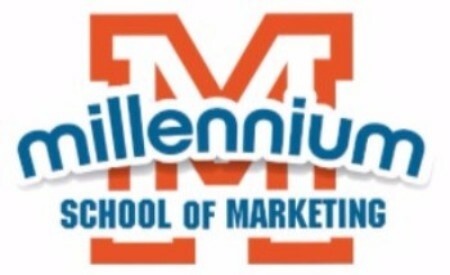 SAVE-THE-DATE – 2nd Annual Millennium School of Marketing Trade Show Lunch & Learn! Don’t miss our 2nd Annual Millennium School of Marketing Trade Show Lunch & Learn Wednesday, February 8 from 11:30 a.m. to 2 p.m. Welcome to the Millennium Team Molly! We’d like to welcome our newest team member, Molly Witt, our Digital Account Manager! Molly comes to Millennium with an extensive background in all things marketing. After graduating from Towson with a degree in Mass Communications, a certificate from Napier University, and an incredible experience studying abroad in Scottland, she spent numerous years in the agency world, with experience in mediums from radio to digital, to TV and print. She has an amazing passion for marketing and is extremely excited to be a part of the Millennium team!